The one that helps me nail my nutrition goals and keeps my family and I fed without much effort? I’m lazy. I know. I have a business, I’m a mom and wife and (I do my best to) keep up with friends, family and myself. So not overall lazy, but I am when it comes to cooking. I find the easiest route to decent noms is always with minimal clean up and brain power. Yup, I’m a lazy cook but that doesn’t mean that I give up eating healthy food. I don’t use the “I can’t cook” or “I’m too lazy” approach to not fueling my body the best way I can. Need a little extra help on the nutrition side of things? I’m happy to help! If you struggle to eat vegetables with every meal or aren’t able to prepare them well, this is a GREAT option to transform your meals. Just wave your asparagus wand and they’re ready to go! You’re absolutely right! However, I’m willing to sacrifice that tiny bit of nutrients for convenience (which is WAY better than opting for processed, calorie-dense foods). In a perfect world I’d have my own garden where I could get fresh produce daily. BUT I live the city, don’t have a green thumb and did I mention I’m lazy? To balance that out, I DO eat plenty of fresh veggies other times and fill in the gaps with a good multivitamin and greens powder. Convenience. There’s little to no prep on my end besides adding some salt and peppah. Longer shelf life. I don’t feel bad about stocking up because they don’t go bad. Ready in minutes. Microwave, boil, sauté, or throw on the fire and they’re ready to go! Good for our tiny human. It’s super easy for baby food, boil, blend and serve. Saves time at the grocery store. No more wandering the produce isle searching for what’s fresh. Veggies year round. In the winter when produce is looking less than desirable, frozen veggies to the rescue! Pro tip: I mix a seasoned pack of veggies with a plain pack and then don’t have to worry about the flavor! We love Trader Joes options but some of the buttery veggies tend to be a bit high in calories per serving. Do you like fish? I love fish! However, I hate the smell of fish that has been in my fridge for over 24hours. I know I’m such a Diva when it comes to smells. To fix that, I tend to buy frozen filets of different types of fish. You can buy huge bags at the grocery store which will cost a little up front but it lasts a while. That means it’s always ready to go. You can also buy individual packs of chicken breasts and other meat and throw that in the freezer, too. Don’t have time to defrost? Magic Frozen Food Thawing Plate is the best! Or you can defrost individualized servings easily (since they are smaller) in just hot water. Read about how to do that, HERE. They stay fresh. You don’t have to worry about the meat going bad. And no fish stank. Easy portion sizes. You can pull out just the right amount of food for any meal. Ready to go. Defrosts faster because portions are smaller. Live that high protein lifestyle. No matter what time I come home I can have a high protein meal ready to go. Less grocery shopping. You can stock up so you don’t have to get as much at the store. To become a lean, mean protein cooking machine stock up! Cooking and eating healthy HAS TO WORK WITH YOUR LIFESTYLE or it’s likely you’ll struggle with the process and give up. If you don’t want to meander the produce isle for veggie options and you’re a culprit of letting food go bad because it sat in the fridge too long stock the freezer Adjust your shopping to be convenient for your lifestyle you’ll be more apt to eat healthier at home. Your mission: When you go grocery shopping this week stock the freezer with enough fruits, veggies, and lean protein for the zombie apocalypse. 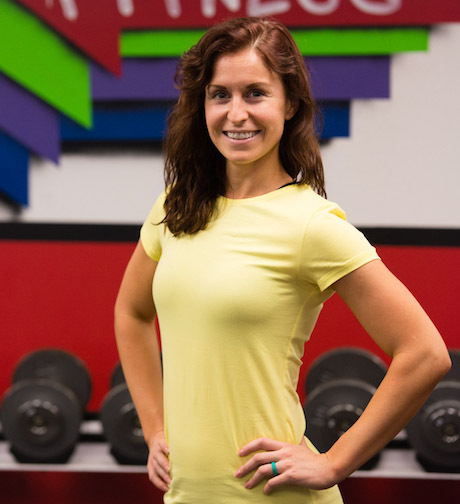 Need a little extra help coming up with a plan to nail your fitness and nutrition goals? Come by for a FREE 60min 1on1 Strategy Session!